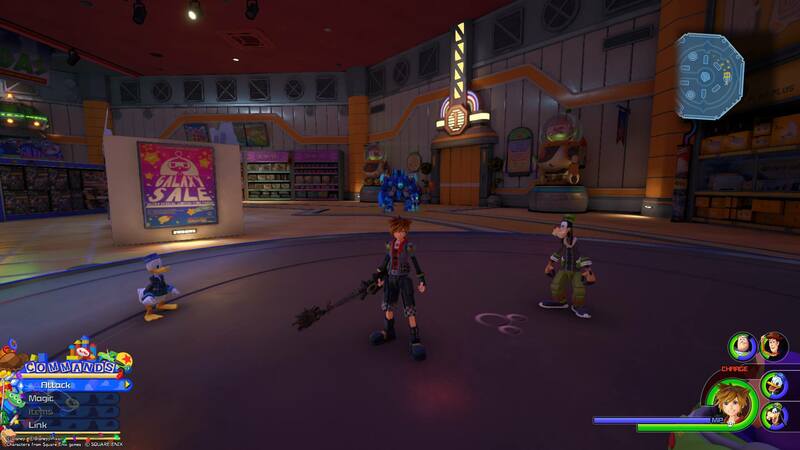 Where to find all 11 Lucky Emblems in the Toy Box world of Kingdom Hearts 3. 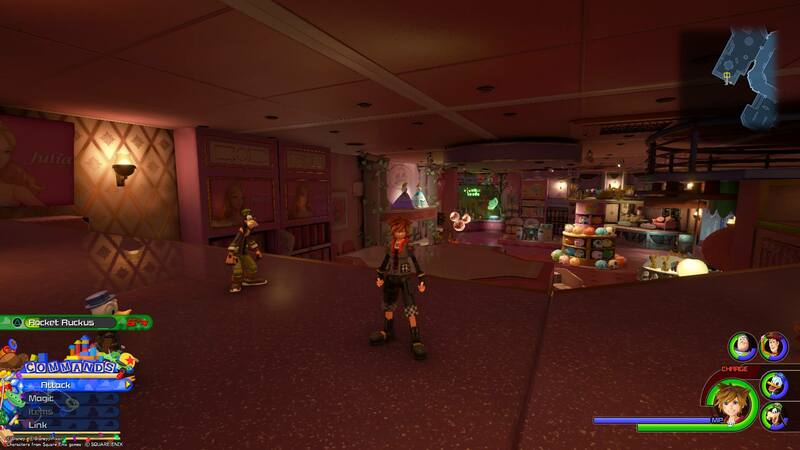 In Kingdom Hearts 3, players will need to find and photograph Lucky Emblems in worlds like Toy Box in order to unlock the game’s secret video. While most of the worlds have around a dozen Lucky Emblems to find, smaller worlds like Twilight Town and 100 Acre Wood have fewer. In Toy Box, there are 11 Lucky Emblems to find in total. Struggling to find one or more Lucky Emblems in Toy Box? We’ve got you covered! 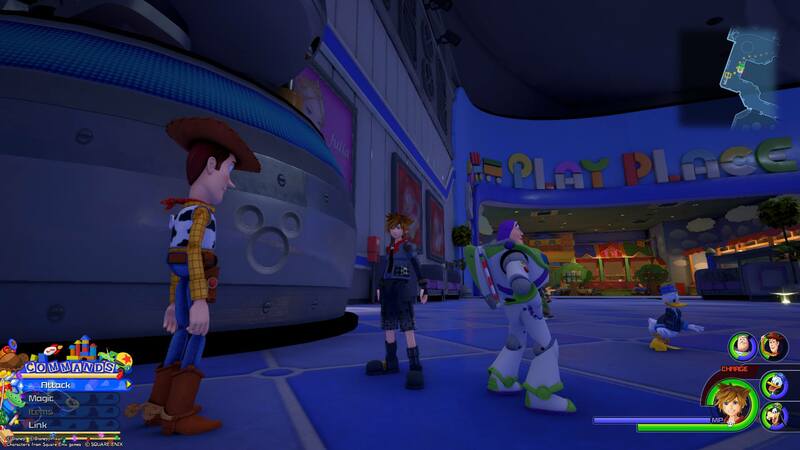 Below, we’ve put together a quick guide on where to find all 11 Lucky Emblems in the Toy Box world of Kingdom Hearts 3. 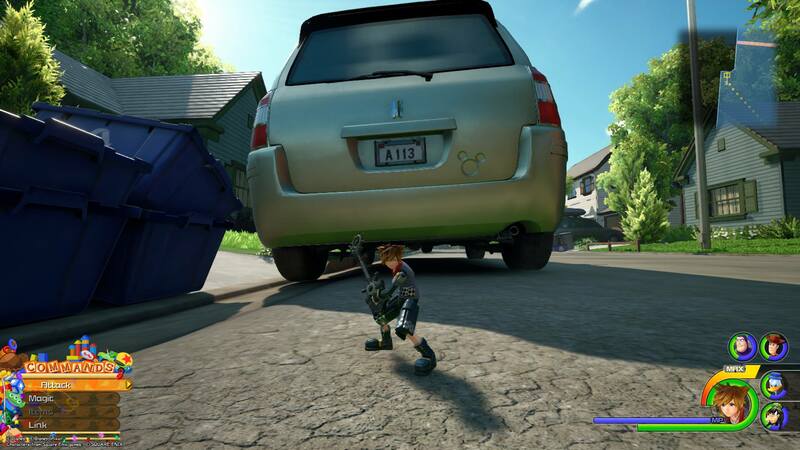 There are 11 Lucky Emblems to find in the Toy Box world of Kingdom Hearts 3. 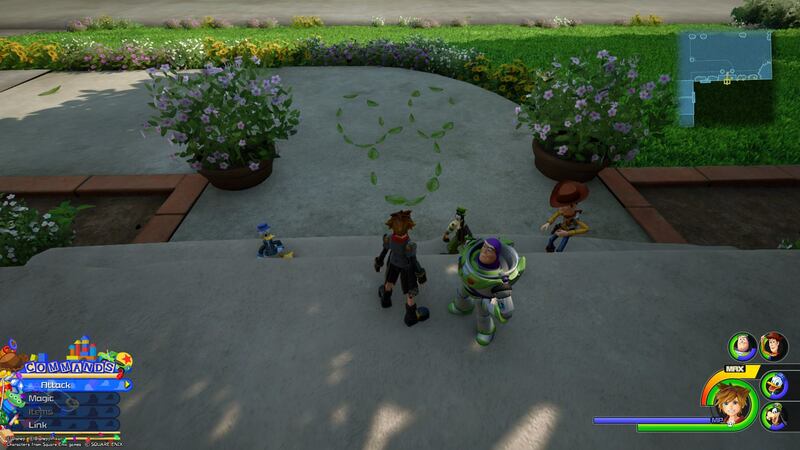 In the Toy Box world of Kingdom Hearts 3, there are 11 total Lucky Emblems to find. To photograph them, you’ll need to use the camera feature on your Gummiphone. This can be done by pressing the touchpad on your PS4 controller, or the Change View button on Xbox One. After you’ve done this, you’ll need to align the square box over the Lucky Emblem and snap a photo. Note that you can zoom in and out using the left and right trigger buttons if you’re too close, or too far away. Struggling to find Lucky Emblems in Toy Box? Below, we’ve listed where to find all 11 Lucky Emblems in the Toy Box world of Kingdom Hearts 3. 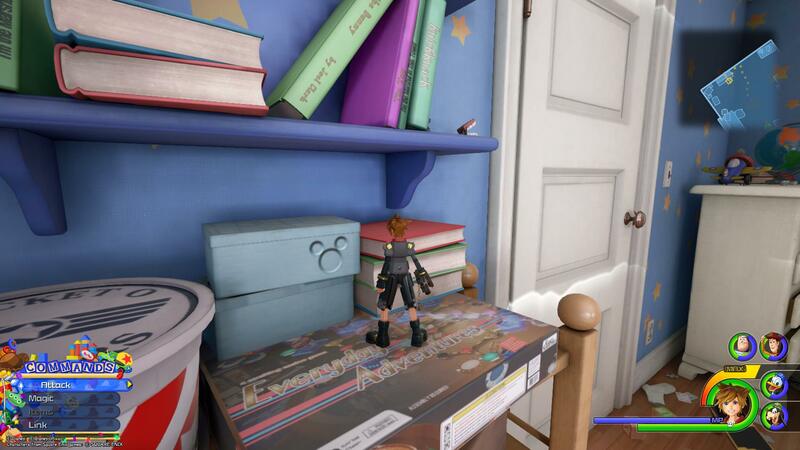 The first Lucky Emblem in the Toy Box world of Kingdom Hearts 3 can be found in Andy's Room. Starting at the very beginning in Andy's Room, you can find the first Lucky Emblem by climbing the wall near the door at the back, then jumping over to the top of Andy's dresser on the left. If you land on the top shelf, carefully drop down until you land on an Everyday Adventures box as see in the image above. The second Lucky Emblem can be found on the roof of the garage when you exit the open window in Andy's Room. When you finish exploring Andy's Room, exit through the open window to the top of the garage. 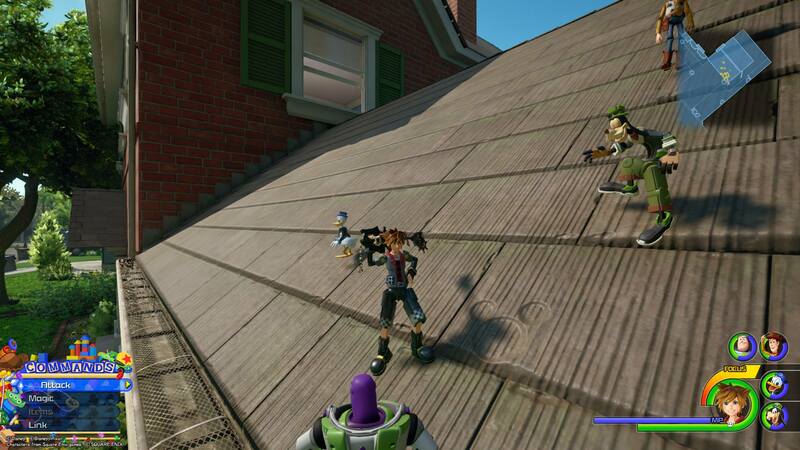 On the side leading down towards the street, slide until you reach the gutter, then walk over to the end of the garage roof to find the second Lucky Emblem in the Toy Box world of Kingdom Hearts 3. The third Lucky Emblem can be found by climbing up the front steps to Andy's house and looking at the leaves on the sidewalk below. Once you've collected the second Lucky Emblem on the garage roof, head down to the ground, then walk over to the front door of Andy's house. Climb up the steps, then look down towards the sidewalk. There, you'll find several green leaves in the shape of a Lucky Emblem. The fourth Lucky Emblem can be found on the back of a car with a license plate that reads A 113. From Andy's house, head across the street and approach the parked car near some stacked blue garbage bins. On the back of the car, you'll find the fourth Lucky Emblem to the right of a license plate that reads A 113. Fun fact, "A113" is an Easter Egg created by California Institute of the Arts alumni including many creators at Pixar. Because of this, it's frequently found in Pixar movies, along with references to other Pixar movies. The next Lucky Emblem can be found right before you enter Galaxy Toys. As you make your way to Galaxy Toys, pause before you enter the building and head left. 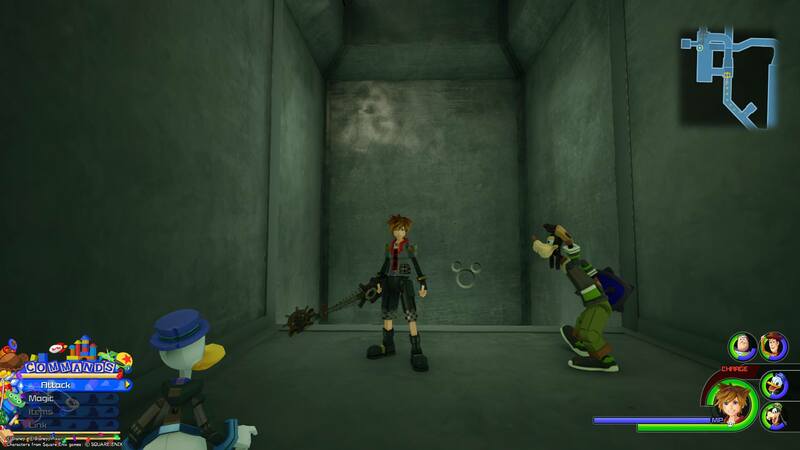 Arranged in a cluster of boxes, you'll find the fifth Lucky Emblem in the Toy Box world of Kingdom Hearts 3. Additionally, if you look out towards the parking lot, you'll be able to spot the famous Pizza Planet truck! 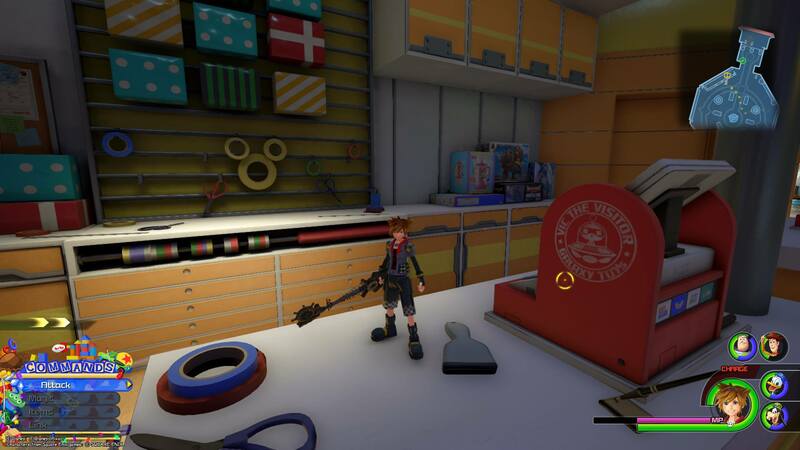 After entering Galaxy Toys, jump up on the counter to your right to find the sixth Lucky Emblem in the Toy Box world of Kingdom Hearts 3. Inside Galaxy Toys, you'll have to fight several powerful Heartless. Once you've defeated them, you can take a little time to explore. To the right of the main entrance is a gift wrap counter. Jump on top of the counter and look at the wall near a few wrapped boxes on display. There, you'll see three tape rolls arranged in the shape of a Lucky Emblem. Destroy a toy display using the Gigas robot to reveal the seventh Lucky Emblem. One of the cool things about the Toy Box world is you can enter toy robots and use them to fight, or destroy things. Before heading up to the other floors inside Galaxy Toys, enter one of the Gigas robots on display, then approach a display pyramid behind the gum gumball machine. Destroy it, and on the platform beneath, you'll find the seventh Lucky Emblem! Head up to the third floor, then look at one of the statue displays near the Play Place to find the next Lucky Emblem. Make your way up to the third floor of Galaxy Toys. On the balcony area, head towards the Play Place store. To the left of Play Place, you'll spot a Julia poster, and to the left of that poster a display statue. At the very bottom of the display, you'll find the eighth Lucky Emblem in the Toy Box world of Kingdom Hearts 3. From the third floor, look over the railing directly across from the Lovely Party store to spot the next Lucky Emblem on top of a hanging spaceship. While you're on the third-floor balcony area of Galaxy Toys, head over to Lovely Party and jump up to the railing across from the store. Look down, and you'll spot the next Lucky Emblem on a hanging spaceship. Note that you'll need to jump down and land on top of the spaceship to properly photograph the Lucky Emblem and add it to your collection. Inside the vents leading into the Lovely Party store, you'll encounter one vent that blows you up to the next level of vents. After reaching the top, turn around and you'll find the tenth Lucky Emblem. As you enter and explore the vents that lead into the Lovely Party store, you'll encounter a vent that blows you up to the next level. 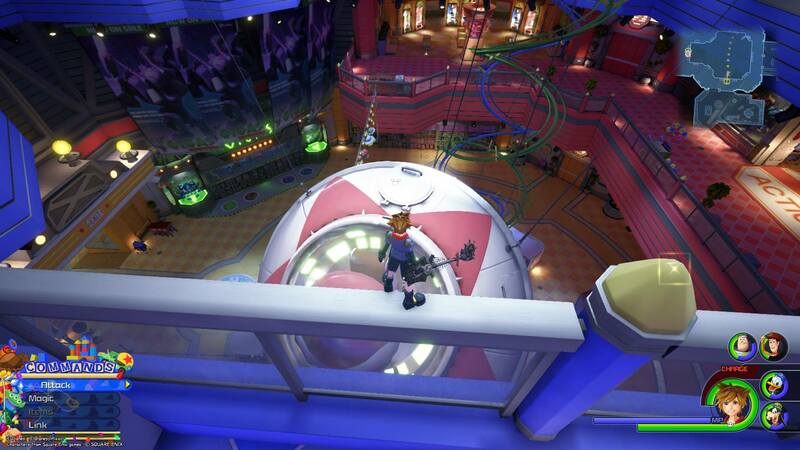 After you reach the top, turn around, and you'll spot the tenth Lucky Emblem in the Toy Box world of Kingdom Hearts 3. After exiting the vents into the Lovely Party store, hop over to the top of the display shelf towards three sparkling balloons, then align them to capture the eleventh and final Lucky Emblem. The last Lucky Emblem can be found once you exit the vents into the Lovely Party store. To find it, walk along the top of the shelf, then hop over to the display in the direction of three sparkling balloons. 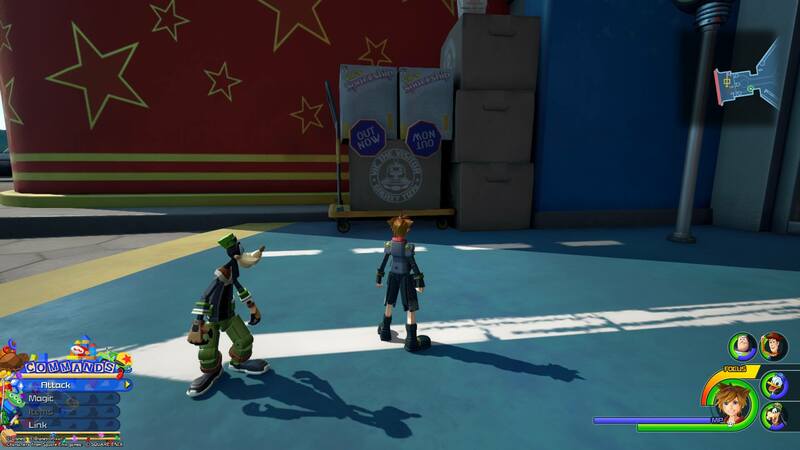 Note you won't be able to capture the Lucky Emblem from the first shelf, you'll need to jump to the second in order to align and capture the final Lucky Emblem in the Toy Box world of Kingdom Hearts 3. By finding and photographing all 11 Lucky Emblems in Toy Box, you’ll be that much closer to unlocking the secret video for Kingdom Hearts 3. Plus, the more Lucky Emblems you photograph, the more in-game rewards you’ll earn. So, were you able to find all 11 Lucky Emblems in Toy Box? Which Lucky Emblem was the hardest to find? Let us know down in the comments below! 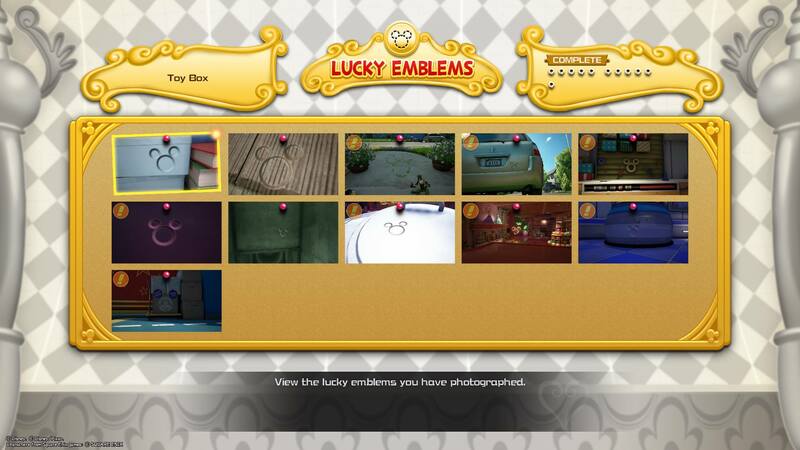 For more on Kingdom Hearts 3, be sure to check out our previous Lucky Emblem guides including where to find all 12 Lucky Emblems in the Olympus world of Kingdom Hearts 3, where to find all 9 Lucky Emblems in the Twilight Town world of Kingdom Hearts 3, and where to find all 3 Lucky Emblems in the 100 Acre Wood world of Kingdom Hearts 3.